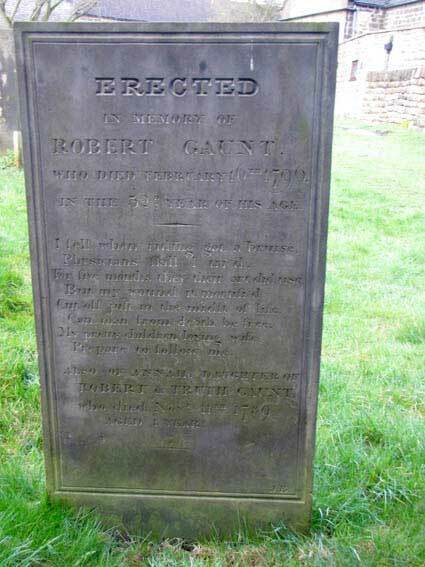 Headstone for Robert Gaunt who died 16 February 1796, aged thirty-two, after falling from his horse. It must contain one of the longest gravestone explanations as to what happened. Can man from death be free.